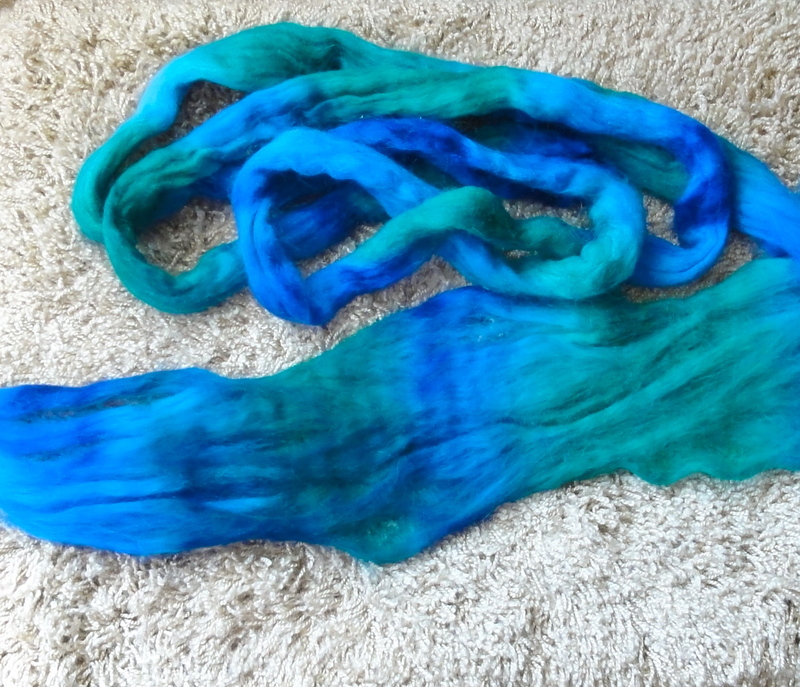 A while back I bought some lovely hand-dyed blue and green 70-30 Merino/mohair blend top from Wolf Creek Wools. I’m crazy for blue and green together, and this fiber has gorgeous colors that are spinning up beautifully on my Schacht Ladybug. The fiber itself is very compacted and would be impossible to draft if I didn’t attenuate it before spinning. The compacted fiber is at the top; the fiber at the bottom has been attenuated. This entry was posted in Spinning and tagged Merino/mohair fiber; Wolf Creek Wools, Schacht Ladybug spinning wheel, Sweetgrass Wools. Bookmark the permalink. I am So behind! I had to search your blog to see when you got your Ladybug…Happy belated! And my goodness, that spin is some kind of marvelous! Your 3-ply is going to look fab. Thanks! I’m having so much fun with my Ladybug. 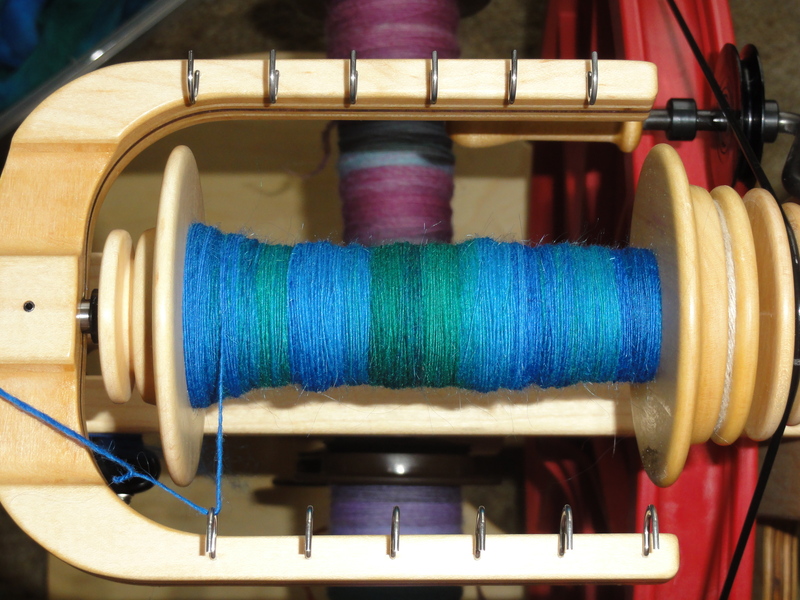 I think that learning to spin on a drop spindle has made using the wheel a lot easier than it would otherwise have been.